2 firmness choices, classic and cooling options all with the powerhouse brand Sealy. It offers a memory foam feel without a ton of sinkage. 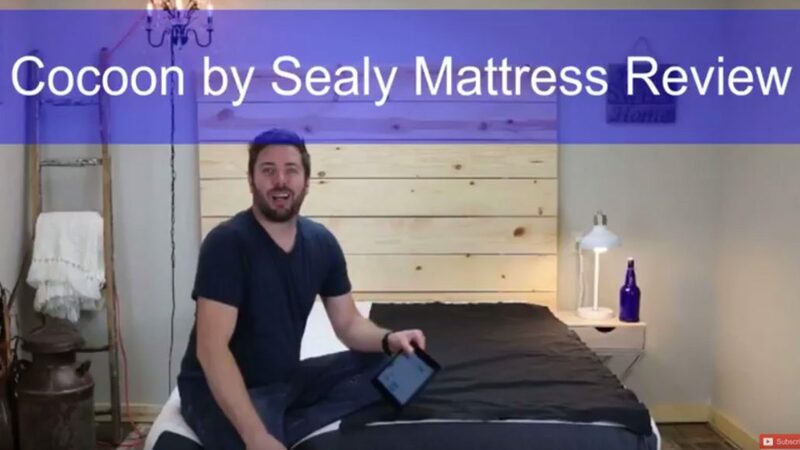 Sealy has jumped into the online game. Whats good? I think its great to have a powerhouse brand behind the product vs a startup. If you have a warranty, they will be here 8-10 years from now. Its also offered in two firmness options as well as a cooling upgrade with a phase change cooling cover. You want a good value – I think the classic version is a very good deal compared to several other online brands they’re more than competitive. 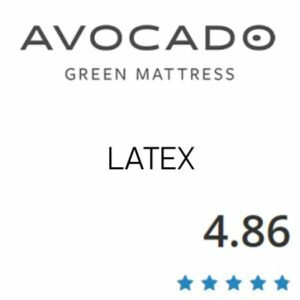 Sleep in multiple positions – This mattress is a good medium feel with good body conformance. Sleeping on your side, back or stomach Cocoon will conform to your body very well. Tummy sleepers can choose a firmer option too. Like the combo of bounce and body conformance – with 2″ of memory foam and a nice bouncy transition layer it gives you the memory foam feel without a ton of sinkage. Want a innerspring mattress – It can take time to get used to a foam mattress, if you already know you don’t like all foam mattresses you should stick with a coiled mattress. 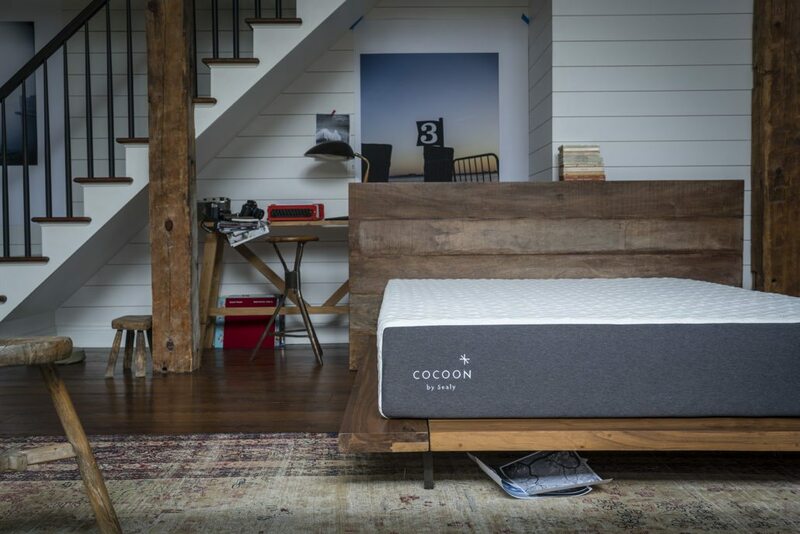 The Cocoon is a comfortable mattress but it won’t probably transform you from a spring fan to a foam fan. 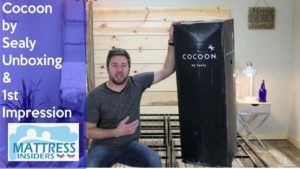 Want a tall extra thick mattress set – Cocoon is not going to be super thick and tall like some mattresses you will find online and in stores like a pillowtop. 1st layer (comfort) – 2″ of memory foam. 2nd layer – 2″ of transitional poly foam. 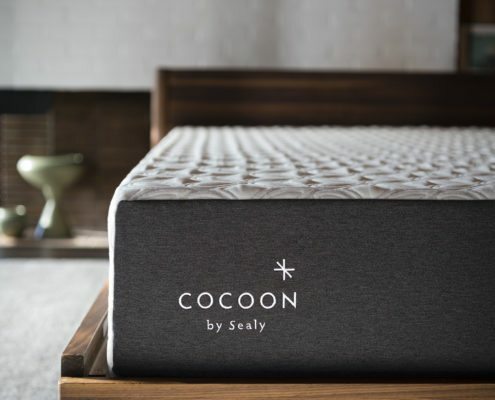 The Cocoon mattress is actually offered with two different cover options. 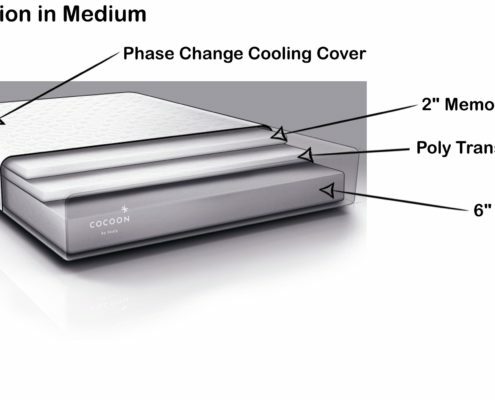 You can choose from a classic cover, or a phase change cooling cover. 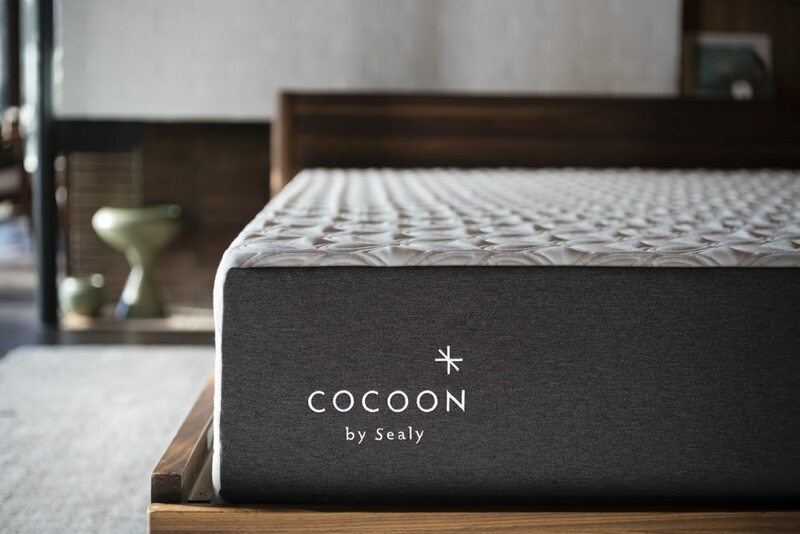 The Sealy Cocoon will work great on any solid surface. A boxspring/foundation, slats, the floor and will work great on an adjustable base. 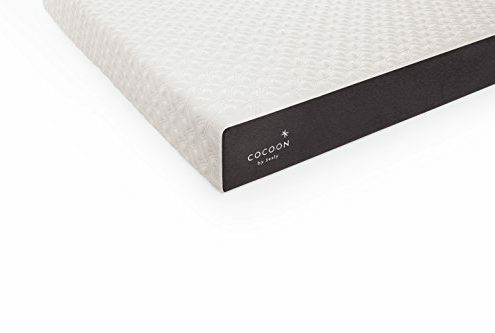 What I liked about the Cocoon was that you get good pressure relieve that memory foam offers but since it uses 2″ on top followed by a poly transition later you end up have more bounce. 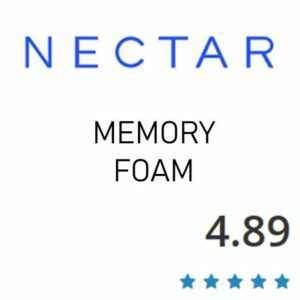 You sink in initially but don’t continue to sink in as much as you can on a memory foam that uses 3-4″ of memory foam. So if you like memory foam but want to have less sinkage, this is a good option. I also like that you can choose between firmness’s and cover options. I though the Cocoon had a good combination or body conformance and pressure relief without the sinkage or some memory foam mattresses. With their design you don’t get a stuck feeling at all, making it easy to still adjust positions. Another perk is the fact that it is Sealy who manufactures it. There should be no worry about the company going anywhere should you have a warranty problem. 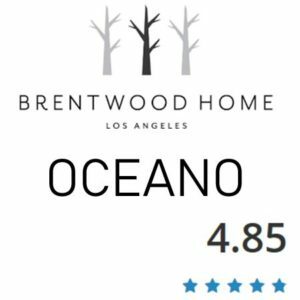 Overall the mattress was great and anyone who sleeps in all positions will be happy on the Cocoon. We slept on the Chill version and it performed great. 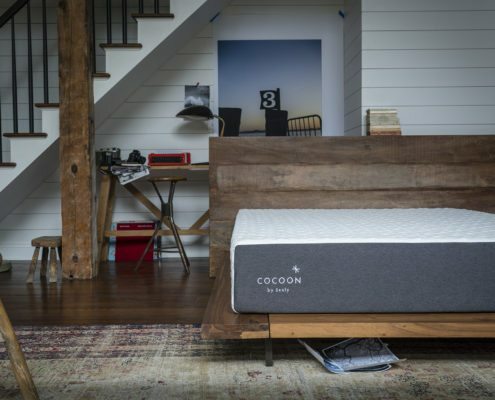 Generally memory foam can trap heat but having the transition layer 2″ down helps the Cocoon transfer heat more efficiently then if it had 4″ of memory foam. The cooling cover is cool to the touch but if you are planning on using a mattress protector some of that could be reduced. You can consider a cooling protector as well. But either way it will breathe better than the classic cover. 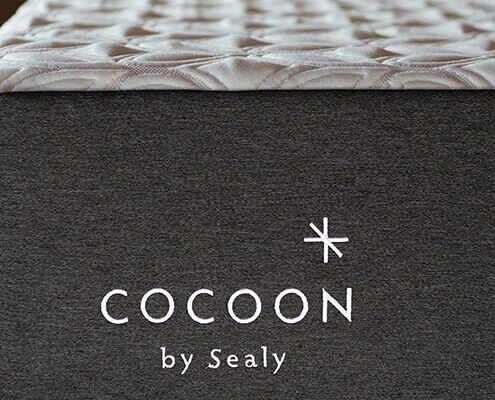 The Sealy Cocoon will perform great on an adjustable base. Video coming soon. Sealy has been around for for ever! They are one of the 1st big box brands to launch online. There will be no worry here about your warranty being worthless if the company doesn’t stick around for the long haul. 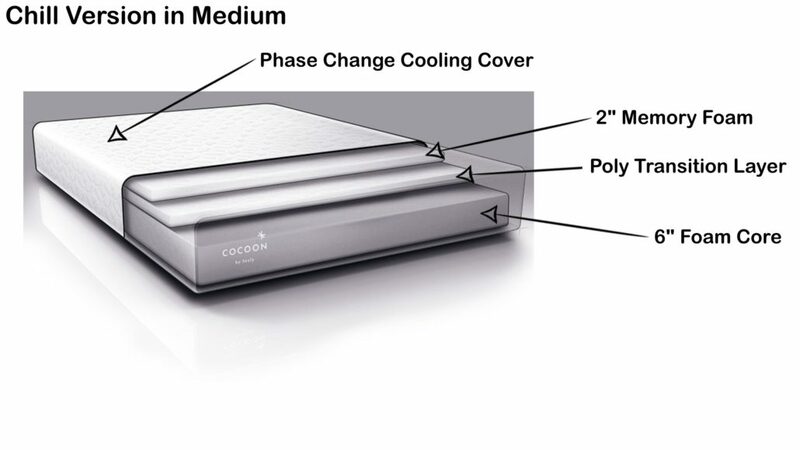 Overall, the Cocoon is a solid mattress and offers firmness & cover options other do not.